Last evening I attended a forum that was part art show, part info session, part history lesson, and a final part eye-opening. Beneath the Womb, hosted by the oldest pharmacy in North America, now a French Quarter museum, is the first event in a month long series of events exploring the history of female practitioners, midwifery, Storyville whorehouses, herbal remedies for pregnancy, menstruation, and menopause, and of course, linking these topics to the treasure trove of artifacts that the museum houses within its collection. The panel, led by Pharmacy Museum docent Owen Ever, included local midwife Kate Paxton, who had been researching early midwives in the French Louisiana territory, University of New Orleans Anthropology Department member Elizabeth Seleen who is digging for trash in the old Storyville area, and Maypop Herb Shop employee Jen Stovall who advises and prescribes herbal remedies for all stages of womens lives and health. 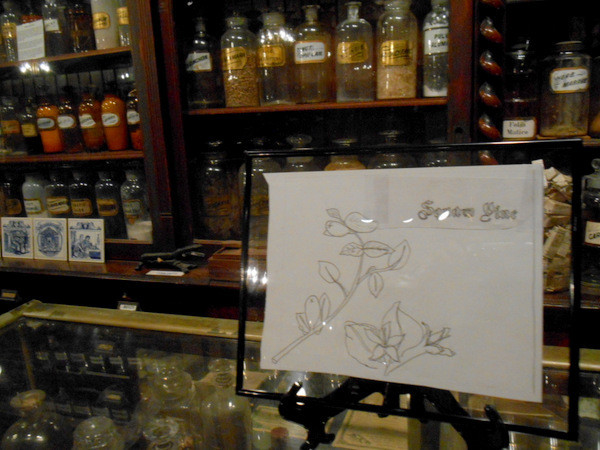 Artist-In-Residence Rachel Speck provided screen printed Victorian health product labels in a larger than life format, as well as hand rendered drawings of common herbal ingredients included in everything from contraceptives to abortive aids. 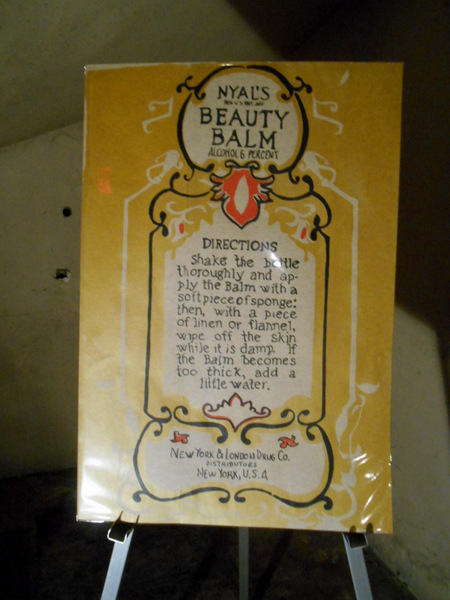 Paired with the museum’s collection of medicine bottles, medical implements, and furnishings of a working 1800’s pharmacy, the tale told and illustrated by the panelists was one of limited resources, women turning to other women for help, and ingenuity using available resources and native herbs. 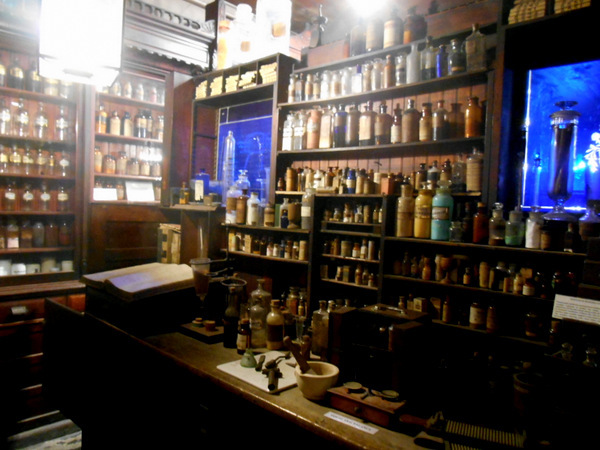 Further events will take place this month and can be found on the Pharmacy Museum website at http://www.pharmacymuseum.org/. 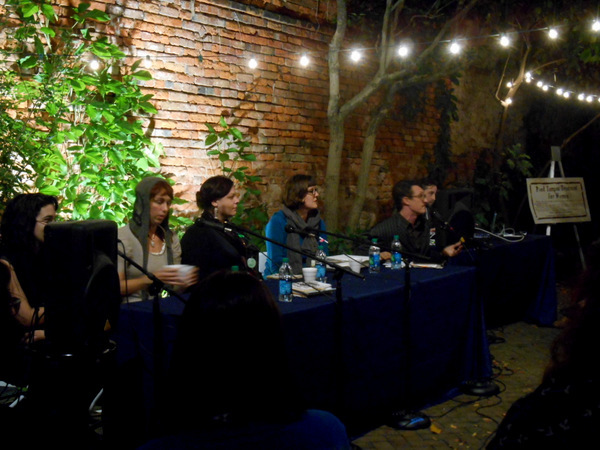 Panelists discuss historical records of midwives in the French Quarter. Screen prints by Rachel Speck included labels from the 1800’s with dubious ingredients. 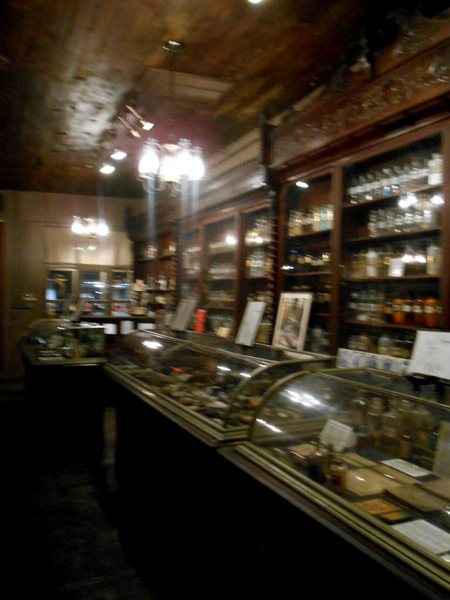 The pharmacy museum’s collection houses many old cures and remedies, some of which we still utilize in modern medicine. Artist in Residence Rachel Speck combed through the museum’s women’s health section for some surprising finds, including opium soaked tampons. Cotton root was readily available to many under served communities and was used for a range of women’s health issues. Thanksgiving in New Orleans- Gambling, Booze, and Probably not with Your Family Either.